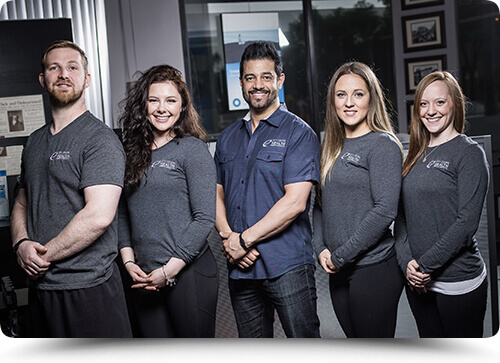 At City Centre Health Edmonton Chiropractic, our knowledgeable, friendly team is committed to delivering you the highest quality of health and wellness care. Edmonton chiropractor Dr. Niz Saab offers natural ways to treat pain and other common health concerns, in our healing, uplifting environment and get you back to optimal health. We understand how difficult it is to live with pain. Chiropractic is a drug-free, hands-on health care solution to many musculoskeletal and neurological complaints including back pain, neck pain, pain in the joints of the legs and/or arms, and headaches. By utilizing our various chiropractic techniques and contemporary therapies, we aim to promote lifelong health, prevention and rehabilitation of athletic injuries, and treatment of acute and chronic musculoskeletal disorders. Whether your goal is to increase quality of life by living free of chronic pain, or to increase athletic performance by achieving a more functional body, we’re here to help. Same day appointments are available. Contact us for a FREE consultation with Dr. Niz today! Chiropractor in Downtown Edmonton. Located directly across the street from City Hall.